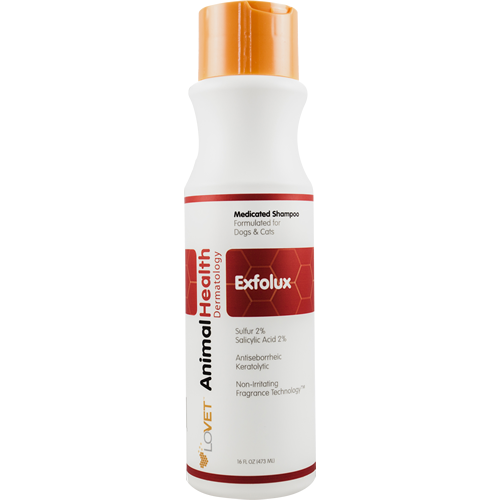 Exfolux medicated shampoo is a keratolytic and antiseborrheic soap-free shampoo for the relief and treatment of mild to moderate seborrhea, dandruff and other non-specific skin conditions. 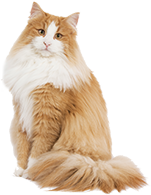 It leaves the skin moisturized and a soft coat. 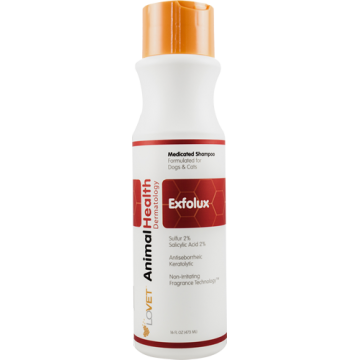 Solubilized Sulfur is an antiseptic that gently exfoliates and helps control the production of sebum that leads to seborrhea. Salicylic Acid is a keratolytic and keratoplastic ingredient that helps remove scales, crusts and control the overall production of skin cells. Shake well before use. Wet coat thoroughly with water. Apply sufficient shampoo over entire body to creat rich lather. Allow to sit on animal between 5 and 10 minutes. Rinse off completely. Repeat procedure if necessary.